Goodreads: Some friendships fizzle out. Rachel and Clara promised theirs would last forever. Imagine discovering something about your oldest friend that forces you to question everything you’ve shared together. The truth is always there. Kritters Thoughts: An eery book from the beginning with one girl missing and her friend thrust in the middle of it as a news anchor. The way the author unfolded this story bit by bit and putting stories from the past interspersed was fantastic! With each chapter done, I wanted to know more and more - made it hard to put down. One of the fantastic things about this book was that the author wrote from Rachel's perspective, but not only that, but she wrote it as if the character was talking to her missing friend - added an extra eery layer! The reader finds out at the very end as to why the book was formatted this way and I loved it. It made for a different kind of reading. 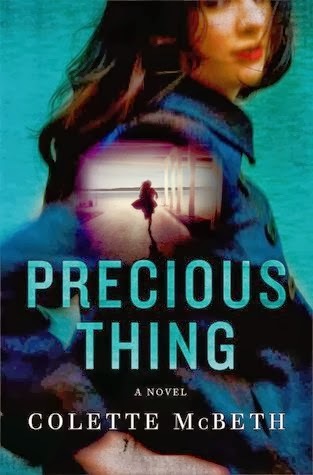 I have read many mystery/thrillers and know that they are mostly written in the same kind of format, but this book is set apart by the writing style and it was great to read something different. I would recommend this to long time fans of the genre who need something new and unique to read.